Ball Python - New Pastel Banana Ball Python! 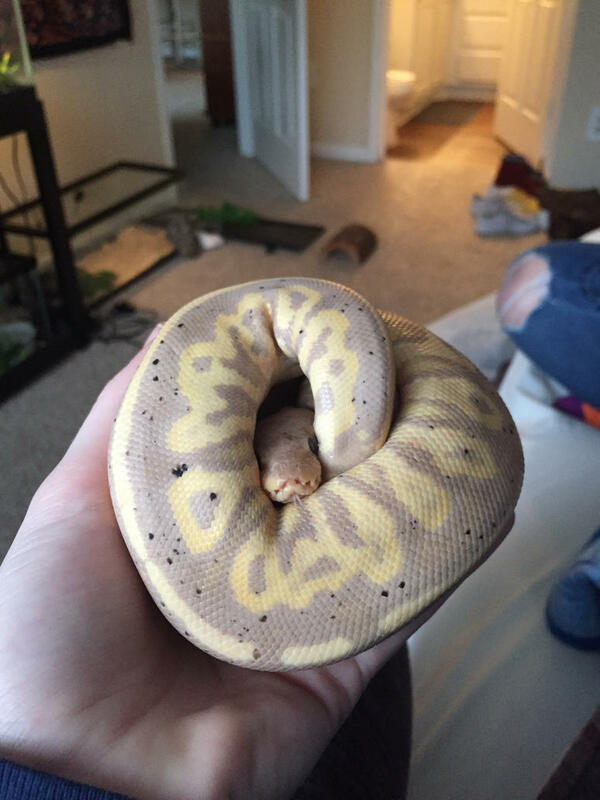 New Pastel Banana Ball Python! Im very excited to say that at the most recent Repticon I picked up a Pastel Banana Male, and hes is absolutely gorgeous! I went into the show expecting/wanting to get a pied or a super mojave, but was star struck by this male and got him almost instantly! He is very active, and super fast which I’ve never experienced with any balls i’ve owned in the past. He’s a little feisty, but I’m sure it’s because he is new and hungry! He was last fed on 1/06 but soon went into shed after I got him on the 9th, so I haven’t been able to even try to feed yet. I hope he switches to F/T nicely, which I’ve had some troubles with in the past!